Atlas of the city and island of Montreal. 1879. Map of the City and Suburbs of Montreal. 1825. Topographic and pictorial map of the City of Montreal. 1846. 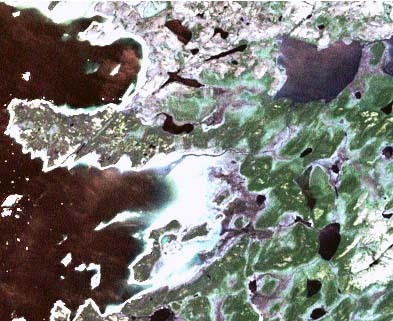 Landsat is comprised of several series of satellites used to monitor the earth's land surface at approximately 30 meter resolution. These images provide a unique resource for people who work in agriculture, geology, forestry, regional planning, education, mapping, and global change research. McGill University Library has a small archive of Landsat imagery that covers specific regions within Canada, Latin America and the Caribbean. Some sets of imagery are individual shots, whereas others are time series. Please note: each image in our archive is in its' raw format, thus requiring the user to have expertise in remote sensing techniques. Access Members of the McGill Community can obtain copies of the data by filling out the Geospatial Data Request Form.